Pastor Enoch Adeboye of the Redeemed Christian Church of God is a man in love. The Septuagenarian showed many he is still very romantic despite being married for several years. 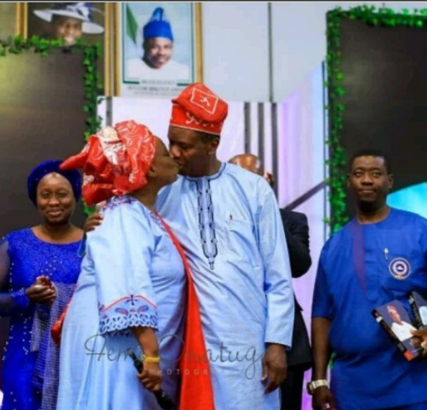 He was spotted publicly kissing his wife pastor Foluke Adeboye. In July 2017, Pastor Adeboye excited his worshippers with an interesting birthday message he sent his wife on social media. The couple have been together for 50 years. I think pastor Adeboye is a very interesting man. Whoever knew he calls his wife baby. Always thought they called themselves mummy and daddy. Lol!